The arrival of a new year is a momentous occasion, and making some DIY jewelry is the perfect way to commemorate the celebration. The right piece of jewelry can be the perfect finishing touch on a New Year’s Eve or New Year’s Day outfit. 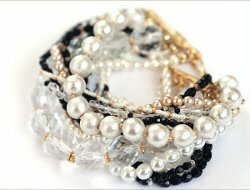 Even if your party ensemble is already set, there is nothing better than starting off the new year with a new piece of homemade jewelry. We at AllFreeJewelryMaking know that this time of year can be pretty hectic; so, we have compiled a list for you of some of our favorite jewelry pieces for New Year’s Eve and the New Year. 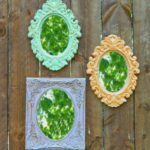 Whether you are looking for some bling for a holiday party, or are looking to take up a new challenge for the new year, we’ve got you covered with some awesome New Year projects. 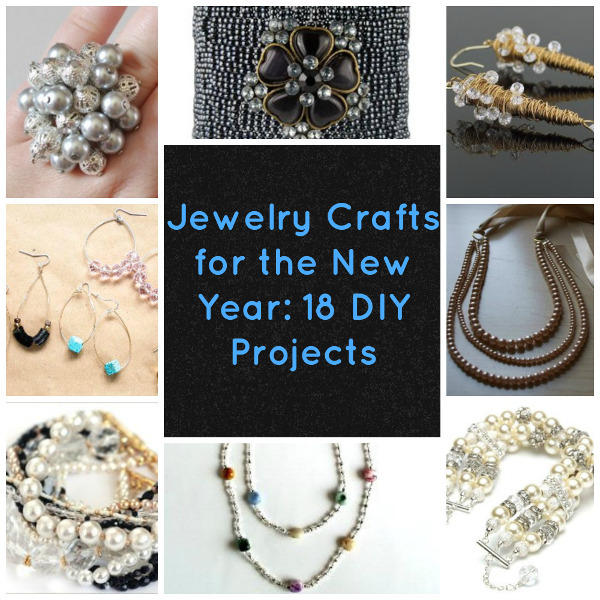 For even more New Year’s Eve jewelry crafts, check out 20 Jewelry Crafts for New Year’s Eve. New Year’s Eve is a blast, but there is no reason to only have one night to show off your fancy homemade jewelry pieces. 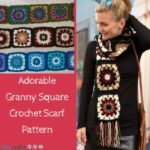 If you are looking for festive projects to wear on New Year’s Day and throughout the new year for special occasions and parties, we have some special treats for you. The start of the new year is a great time to take on new goals and challenges. 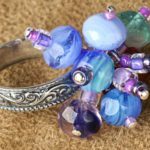 These beginner projects are perfect for jewelry making novices and still fun for expert jewelry maker. 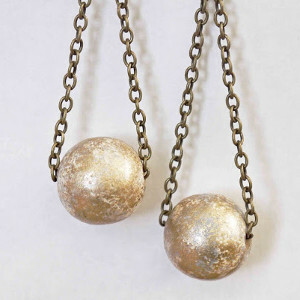 2014 is your year to be a jewelry creator. Get started with these stylish, yet simple projects. 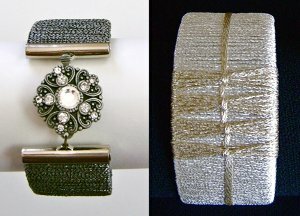 For more jewelry projects through the new year, be sure to check in at AllFreeJewelryMaking.com for the latest DIY jewelry projects and trends! If you ask me, New Year’s Eve doesn’t get enough appreciation as a holiday. There’s so much to love! I mean, at what other point in the year are you allowed to wear silly party hats, make a lot of noise, and craft with as much glitter as you can find? Having New Year celebrations are incredibly important if you want to make memories with your family, and that’s where AllFreeKidsCrafts comes in. It can be a challenge to make sure everyone is included on New Year’s Eve, especially when your younger family members have to go to bed way before midnight. 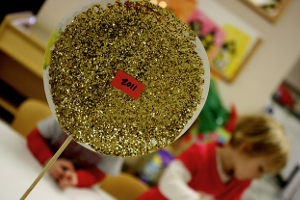 With these New Year’s Eve activities and crafts, you’ll have a blast from the second you wake up until your eyelids finally droop closed at the end of the night. Whether you’re hosting tons of your friends and family for New Year’s Eve or you’re having a quiet night in with the kids, the countdown to midnight just isn’t complete without a little pizazz. 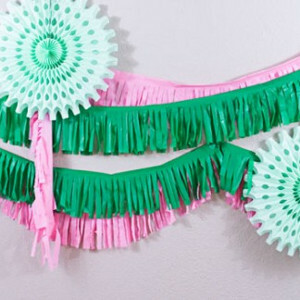 You can craft a lot og these party decor ideas during the day for your get-together at night! No party is complete without awesome accessories! 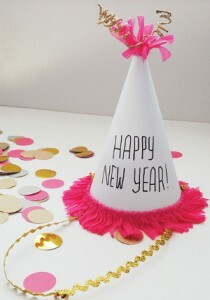 You might not see party hats all the time, but trust us; they’re a must for NYE, especially with kids involved! Create these party hats for your guests, and they’ll all praise you for having the best New Year’s Eve party ideas of all time. Razzle, dazzle, sparkle and shine! 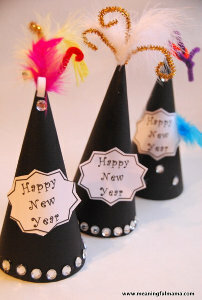 These kids’ craft ideas have all the glitz and glamor of Times Square on New Year’s Eve, so you’re sure be inspired. 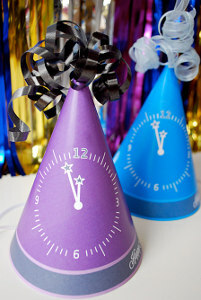 You can easily make these New Year’s Eve crafts for kids before the holiday to decorate the house and get kids excited for the big countdown! 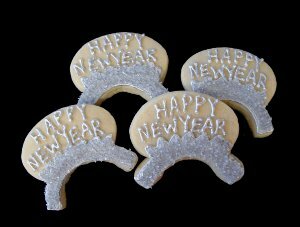 These New Year’s Eve ideas are great for a party, but you can also use them to have fun with little ones during the day. After all, the best New Year’s Eve is the one that involves everyone! Toddler-Approved NYE Activities: These New Year’s Eve crafts are a great way to start the day, since everyone can make them! Balloon Count Down: Every hour until the countdown, pop a balloon to find a fun activity for the family to enjoy! 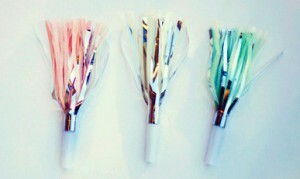 New Year’s Confetti Fun: Do you have leftover confetti from the NYE Confetti Garland? 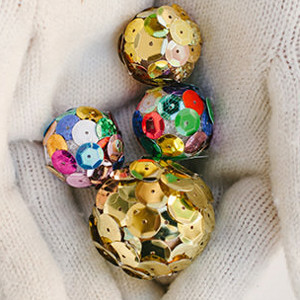 Create these party poppers for the final seconds of 2013. 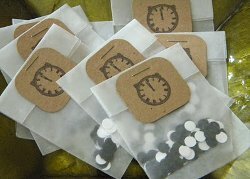 Celebrate the ‘Noon’ Year: If you’re planning a party with little ones that won’t make it until midnight, try this unique idea instead! New Year’s Eve Time Capsule: Have everyone put in a memento from the year, and then reminisce together. Find Your New Motto: Browse this list of inspirational Disney quotes to remind yourself how to make the most of the new year. 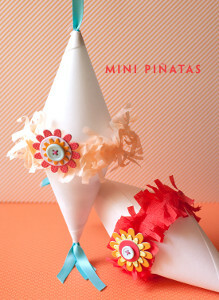 Mini Pinatas: These DIY party decorations aren’t just for warm weather! 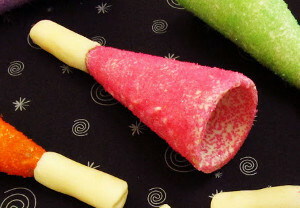 Make these Mini Pinatas to help little ones celebrate the New Year. Faster Than Father Time Game: Who can get to the alarm clock before it goes off? 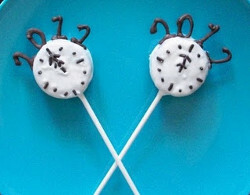 Race your family around the house with this fun New Year’s Eve kids’ activity. Exclusive New Year’s Ball Drop: Can’t stay awake until the real ball drops? Craft your own! How old were you the first time you stayed awake until the midnight countdown? 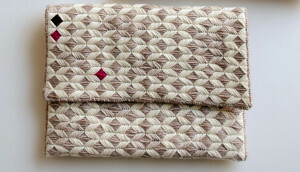 FaveCrafts.com 365 Happy New Year! 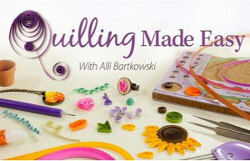 I’m so excited about this new project, FaveCrafts.com 365, I’m doing with FaveCrafts.com Editor Karisa! We are going to bring you a daily v-log report about anything, everything, and more that’s happening at FaveCrafts. This has been an adventure learning all about cameras, microphones, and video making! I think you’ll see lots of improvement as the year goes by, but we are making a 365 commitment to you! 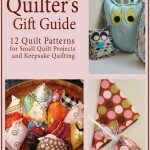 We’ll take you on the road, share books and products we’ll be reviewing for giveaways, and I hope you’ll give me lots of feedback for my 2011 projects for FaveCrafts! So what do you think? 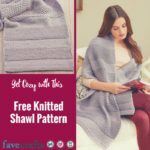 Another great feature of FaveCrafts.com? We hope you think so! Tomorrow is New Year’s Eve, which means you have very limited time to prepare and make those last minute decorations. You need to ring in the new year with a bang and tons of fun with your closest friends and family. If you’re having a house party then you definitely need to spruce up the place with some great decorations. And of course you need to plan some fun activities and games to make for a great night. 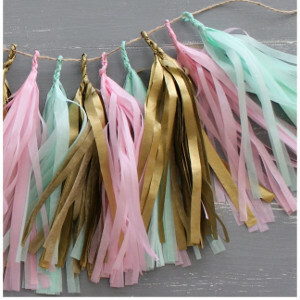 A really easy, yet fun decoration you can make for New Year’s is the paper garland rings. This is perfect for kids to help out with. All you need are different colored pieces of construction paper, scissors and either tape or a stapler. It’s so simple. You cut your construction paper to the desired thickness of each ring. Then you connect one end to the other and either tape or staple. Once you have your first ring you can then loop the second one through the first and staple or tape. You continue to do this until you have the desired length of your paper garland. 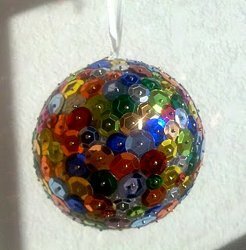 If you want to get fancy you can always add some glitter to make the room sparkle. 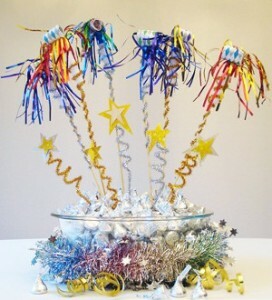 Another one of my favorite decorations that are easy to make are fun little centerpieces. 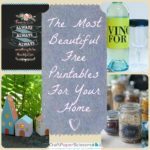 You can put these on the dinner table or dining table, it adds fun to the room. Materials needed are wire garland red and green, with stars hanging from them or little trees if you can find, a styrofoam base the size of your choosing and shiny cellophane wrapping along with ribbon. Again, this is such an easy craft for the kids to help out with. 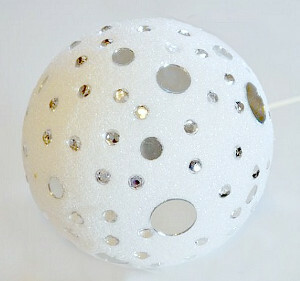 All you need to is stick the wire garland into the styrofoam base and format to your liking. 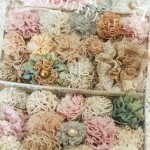 Of course you need to cut the garland into pieces whichever length you wish. Once all your garland is nicely formatted and spread out like a floral vase you take the cellophane and wrap it around the styrofoam base and tie the ribbon into a nice bow. There you go, a nicely decorated centerpiece for the new year. 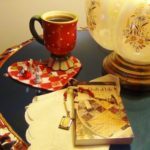 An easy and fun game for New Year’s Eve is the Memory game, only this time you can create it yourself. Using paper cups, beer bottle caps (two caps per beer so there are only two to match) and pop bottle caps (two caps per pop flavor) you can make this so simple. All you need to do is layout the bottle caps face up so you can see the label. You can use as many or as little as you wish, the more you use, the harder and more fun it will be. Once all the caps are laid out you can put a paper cup over all of them. Then start playing. The point of the game is to match up as many caps as you can. Find two like caps and whoever gets the most matches wins.